Paul Kintner, a Cornell University engineering professor and head of the university’s Global Positioning Systems Laboratory, died Monday at age 64. He’d been battling pancreatic cancer. 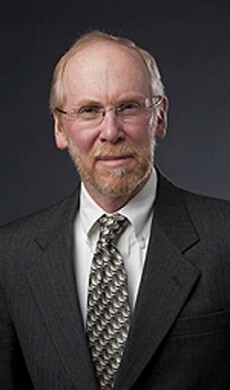 Kintner was a major influence in the engineering world for recognizing the potential of global positioning technology, but to the AMS community he was a leader in the science of the effects of the Sun on the atmosphere, starting from his Ph.D. work at the University of Minnesota on the plasma physics of the northern lights high above the Earth. Later he studied the effects of the Sun on radio signals and in particular GPS. His observational studies made him the discoverer of “electrostatic ion cyclotron waves, double layers and lower hybrid solitary” in space. Paul was the quintessential professor – super bright, outspoken, a superb scientist and a deeply committed teacher. He has been a real pioneer in developing GPS technology and advocating the importance of space weather on society. He was also a personal friend, a running buddy, and a wonderfully warm human being with a great smile. the overwhelming majority of operational GPS receivers will use the legacy GPS signals during the next solar maximum…. [Precision applications based on GPS] have dramatically increased over the past solar minimum along with the assumption that the services will be truly uninterrupted and continuous. Providers of these services should be aware of three potential space weather impacts, density gradients as before, scintillation and especially phase scintillation which has only recently been resolved, and solar radio bursts about which we know little. This presentation at the meeting will be replaced by a tribute to the Kintner and his pioneering contributions to our sciences.